Ah, yes, the outfield. The position on Little League teams where coaches stick their least talented players hoping that the ball rarely makes it past the more talented athletes. As players rise above the ranks of Little League to high school and into college, the outfield position becomes more important. A converted shortstop, I too was moved into the outfield in high school. At first, I thought I was being punished for holding onto the ball too long. This wasn’t the case. I can remember a summer league game, before my Junior year of high school, where I was in the outfield. The other team had runners on first and third with one out. A fly ball was hit to me and, within an instant, I made the catch and gunned downed the runner trying to score on a sacrifice fly. At that moment I realized that I was playing center field because I could cover a lot of ground and had a rocket for an arm. I’m sure it didn’t hurt that I could throw a baseball from home plate over the outfield fence. The moral of the story is how vital of a role outfielders play on a baseball team. Not only do they need to be able to run direct routes, but covering a lot of ground and being able to throw runners out is just as crucial. Now, let’s turn our focus to Minor League Maestros: Outfield 2016. Still only 22 and carrying rookie status, Buxton remains the top-rated outfielder in all of Minor League Baseball. In 129 Big League at-bats, Buxton hit .209 with two home runs and six RBI. It was a small sample size, and a thumb injury saw him sent back to the minors. There’s no questioning his potential. His career minor league slash line consists of .301/.383/.489. He’s not going to kill you with the long ball, but his speed and arm make him deadly on offense and defense. I see him being a career .270 hitter, but that will come along with 30+ steals a season and many runs saved in the outfield. His injury history is starting to remind me of Jorge Soler. There’s no questioning their potential, but it’s being able to keep them on the field to see the potential in person. He has one of the best shots at being crowned the 2016 AL Rookie of the year. 2015 saw Mazara, 20, play at AA and AAA. Nevertheless, Mazara produced at both levels earning himself the number two spot on my outfield prospect rankings. There’s no questioning the talent of Mazara and the potential of becoming a perennial 20+ HR hitter. He may not be the fastest outfielder, but his arm makes him a force to be reckoned with. In 2015, Mazara slashed .296/.366/.443 to go along with 14 HR and 69 RBI. While Mazara should get his call in 2016, it could come sooner rather than later if there is an injury to incumbent corner outfielder starters Josh Hamilton and Shin-Soo Choo. As with many young hitters, Mazara could be too aggressive as soon as he arrives in Majors, but he’s shown the ability to adjust and he’s easily something to smile about in terms of the next best Rangers outfielder. He may not make a major impact in 2016, but he needs to be on the radar of fantasy baseball players in keeper and dynasty leagues. 2015 proved to be a season in which Judge struggled at the plate. I attribute a lot of this to scouting reports. Teams found a flaw and were able to manipulate this to their favor. There’s no questioning the power of Judge. He’s Giancarlo Stanton 2.0. When everything does click, he can help an aged Yankees lineup. As with every young power hitter, there will be ups and downs. He possesses a strong arm and can easily play either of the corner outfield positions. I’ve read articles suggesting he could be a spot-starter in center, but at 6’7″ he doesn’t possess the speed to make me comfortable to believe he can cover the necessary ground. Again, power will be Judge’s meal ticket. In 945 career Minor League at-bats, Judge has hit 37 round-trippers. For his sake, and Yankees fans alike, I hope Judge can grow into a player that arrives through the ranks of the Yankees minor league system. Like Mazara, Judge probably won’t make a huge impact right away, but he too needs to be on the radars of all fantasy players. I was high on Dahl last season. He rebounded in 2014 after suffering a torn hamstring in 2013. Last season was a different story. Dahl struggled at the plate, accumulating 81 strikeouts in 326 at-bats, which was the highest clip in his minor league career. His season saw him miss all of the month of June while requiring emergency surgery to remove his spleen after colliding with a teammate. Struggles happen for every player, and I don’t believe this is something Dahl can’t rebound from. As I mentioned last season, Dahl reminds me of Adam Eaton, but with more pop in his bat. This will translate well playing in Denver, and Dahl could easily reach the 20+ home run plateau. Meadows has the makeup to be a star at the Major League level. He finds himself in a jam as the Pirates have a great young-outfield consisting of Starling Marte, Andrew McCutchen, and Gregory Polanco. Their current outfield is just as talented as the young outfield in Miami. Still 20, there’s no rush to get Meadows to Pittsburgh. The Pirates can take their time in developing a player that can be a star once his power catches up to his hitting ability. At 6’3″ 200lbs, it’s easy to see that Meadows has the size to loft the ball high over the outfield fences. After a successful 2014 in single-A, Meadows hit .310 with seven home runs, 55 RBI, and 21 stolen bases across high-A and AA ball. He may not possess the strongest arm, but he has that sweet swing you look for in a left-handed hitter. Almora finds himself high on my list for the second consecutive season. This season, there is more to it than him being a highly ranked Cubs prospect. 2015 saw the Cubs strike gold with Dexter Fowler. He was exactly what the Cubbies needed in terms of a true centerfielder and leadoff man. His locker room leadership was greatly needed for a team that fielded a plethora of young talent. Rejecting the Cubs qualifying offer, Fowler became a restricted free agent, and with many teams having to forfeit their first-round draft pick to sign him he’s been unemployed for much of the off-season. That being said, the Cubs landed the top free agent position-player in Jason Heyward. While Heyward has played 32 career games in centerfield, he’s spent a majority of his career (795 games) in right field. I’m not questioning his ability, but he’s not a true center fielder. This is where Almora comes into play. He’s a natural center fielder and could push for a call-up if the Cubs decide that the Heyward in center experiment doesn’t work out. They could slide Heyward into right and make a move involving Jorge Soler as the season progresses. The Indians roster a few starting arms that intrigue Cubs management and Soler could be the odd-man out if they decide to make a move. Almora would then be called up to man center field for the foreseeable future. In 2015, Almora slashed .272/.327/.400 with six home runs and 46 RBI. He’s hit just under .290 for his minor league career, and I believe his great approach at the plate and ability to limit strikeouts (159 in 1,302 at-bats) will translate well to the Major League level. He could easily hit in the two-hole if the Cubs decide to leadoff with Heyward. Benintendi was the seventh overall pick in the 2015 draft and absolutely raked in the minors after crushing the opposition at the University of Arkansas. He possesses good speed and has mass amounts of power he generates from a smaller frame of 5’10” 170lbs. After arriving in the minors, Benintendi slashed .313/.416/.556 in 198 at-bats. The number that stood out most to me was that he only had 24 strikeouts in those at-bats. He may not possess the strongest of arm, but he makes up for his average arm with the ability to cover a lot of ground. The Red Sox have made a statement of developing young outfielders of late. That being said, Benintendi could be a September call-up in 2016, but realistically should get his call in 2017. Margot was part of the trade that sent Craig Kimbrel to Boston. Margot is a top outfield prospect that should help a Padres organization that didn’t have much top-talent depth in terms of minor league outfielders. Margot is a natural center fielder that is a plus defender in the outfield. He’s able to cover quite a bit of ground which will be important while manning center in Petco Park. I look for Margot to get a call in 2016 and could be a perennial 15+ HR hitter while stealing 25+ bases a season. As soon as Melvin Upton Jr. struggles, it’s only a matter of time before he is replaced by Margot. Brinson brings a lot of potential to the Rangers. He plays phenomenal defense and can hit any mistake pitch out of the ball park. He has a good swing from the right-side of the plate, but has had a high strikeout tendency. 2015 saw Brinson hit .332 with 20 HR and 69 RBI. He’s a center fielder that carries a lot of potential in terms of his power and speed, but, again, has that downfall of striking out. He took a huge stride in 2015, and could find himself in the Majors before too long. Zimmer is a tall, slender slick-hitting centerfielder who has shown the ability to drive the ball to all parts of the field. His above-average speed will allow him to stay in center throughout his career. He strikes out a bit more than one would like, but that’s to be expected from a guy with a lot of pop. In terms of ability, Zimmer possesses plus tools across the board. He’s on a pace to be a perennial 20/20 player. The key to Zimmer will be learning more patience at the plate. Over time, he’ll develop the ability to lure pitchers into throwing his pitch. A pure hitter that has been one of the best, if not the best, in the minor leagues. Last season, I suggested Winker could be a perennial 15-20 home run hitter, and last season saw Winker take a positive stride in terms of power. 2015 saw Winker hit .282/13 HR/55 RBI. While he accumulated a miniscule 83 strikeouts in 443 at-bats, he also walked 74 times. Winker has a great eye at the plate and there’s no reason he shouldn’t be expected to play for Cincinnati this season. Left field has an open spot and Winker can earn the starting nod out of Spring Training. Frazier has tremendous bat-speed. Some reports state it’s in the same category as Javier Baez’s. With that being said, he can be fooled with off-speed pitches. This can be solved if Frazier puts in the necessary work to maximize his potential to recognize when an off-speed pitch is coming. It’s all about eyes and reacting. Frazier struggled in the first half of 2015, but was able to rebound slashing .285/.377/.465 with 16 HR, 72 RBI, and 15 SB. 15 stolen bases were icing on the cake for a hitter that absolutely crushes pitches from the right-side of the plate. With that being said, the potential is there for a future All-Star that can hit .270-.280 with 20+ HR and 70+ RBI. It’s a great time to be a young prospect in the Brewers organization. They are in a rebuilding phase and already sent Khris Davis packing for a catcher I ranked highly, last week, in Jacob Nottingham. This, nearly three weeks, after sending Jean Segura to the Arizona Diamondbacks. That leaves Jonathan Lucroy and Ryan Braun left to be traded before they are starting completely fresh. However, I don’t think Braun is movable as he’s owed $20mil through 2018, $19mil in 2019, and & 17mil in 2020. And with his history of lying in the public eye, Braun looks to waste away the last part of his Major League career with a struggling Brewers organization. Phillips is a bright spot for the Brewers organization after being acquired in the Carlos Gomez deal that sent the former Brewer to the Astros. Turning 22 in May, Phillips absolutely obliterated pitching in 2015 hitting .309 with 16 HR and 77 RBI. He has a nice compact-swing, but can get out of control pulling the ball. With an absolute rocket for an arm, Phillips projects to play center or right field at the Major League-level. Kepler played a lot of center field during his time in the minors. However, this will not be the case with Byron Buxton manning center field for the foreseeable future. That won’t deter Kepler from earning the starting right field job out of Spring Training. The key for Kepler was staying healthy. As with many athletes, this can delay promotions throughout the minor league-level. 2015 was a big season for Kepler as he hit .318 with nine home runs and 71 RBI. There will be growing pains in 2016, but he should get a great amount of time to learn on the fly for the Minnesota Twins. As I mentioned last season, Tapia has a very interesting swing due to his extremely wide base that becomes wider as the pitcher ascends into his delivery. His hand-eye coordination is remarkable and leads to great contact, but also causes strikeouts. His route running hasn’t improved much, but his speed has been able to make up for this. However, I think the Rockies would prefer to employ a player in center than can run better routes playing in a ballpark that can see any pitch hit deep into the outfield. I see Tapia being a late-round draft pick in fantasy leagues that can potentially hit .280-.300 with 10-15 HR and 50+ RBI. He’s not going to be a super star, but he could see a positive trend hitting in home run friendly Coors Field. If Carlos Gonzalez is traded, Raimel could get the first call-up to man right field for the Rockies. Major League Fantasy Baseball Show: Join Corey D Roberts on Sunday April 3rd, 2016 from 7-9pm EST for this week’s episode of the Major League Fantasy Baseball Radio Show. We are a live call in radio show so we encourage callers at 323-870-4395. Press 1 to speak with the host. This week we will discuss some surprises in our fantasy baseball drafts, and a quick preview of Monday through Thursday’s games. Our guests this week are Joe Iannone, Lou Landers, and Kyle Amore. Joe, Lou, and Kyle are all writers with www.majorleaguefantasysports.com. Lou and Kyle are also the hosts of our Thursday night show called Major League Fantasy Baseball Weekly which airs live from 8-10pm EST every week. 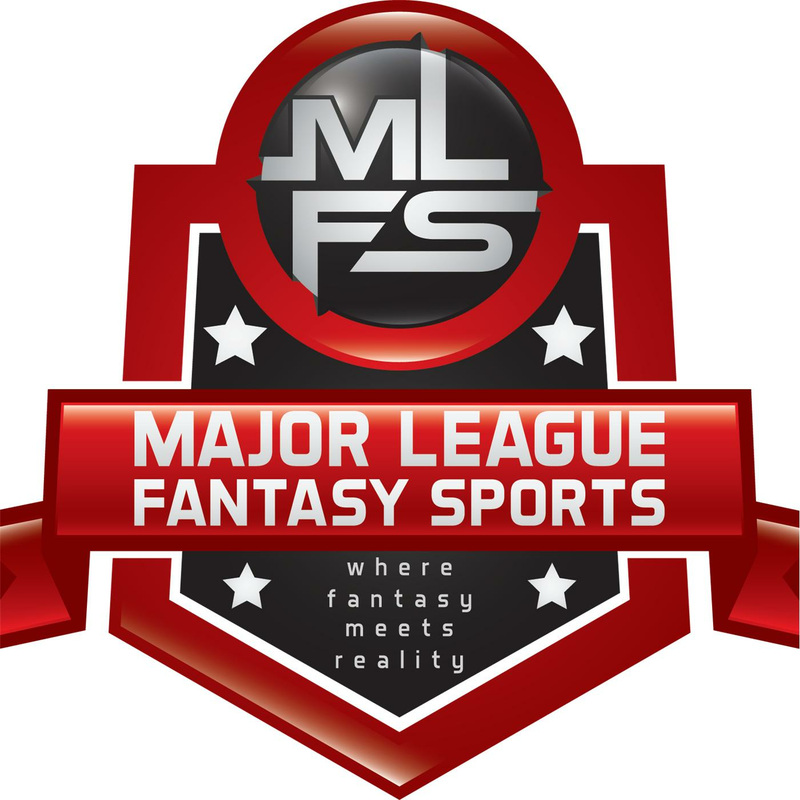 Major League Fantasy Baseball Weekly: Join Lou Landers and Kyle Amore live on Thursday March 31st, 2016 from 8-10pm EST for episode #7 of Major League Fantasy Baseball Weekly. We will discuss player positions and help prepare you for the coming draft season. This will run every Thursday as a live broadcast that will take live callers at 323-870-4395. Press 1 to speak with the host. This week we will discuss everything fantasy and MLB related in the N.L. Central. Our guest this week is Calvin Martin, Jr. Calvin is the commissioner of Major League Fantasy Baseball 3 and solid contender in our leagues. Come join a lively debate! I'm a former collegiate and semi-pro baseball player. I underwent successful Tommy John Surgery in 2008, and can give a wide-range of tips on the surgery and rehabilitation. Chicago sports are the love of my life [Cubs, Bears, Blackhawks, Bulls] as well as Serie A football [Forza Rossoneri!]. 2018 will be my fourth writing for Major League Fantasy Sports, and each season gets better than the previous. 2016 was very emotional for Cubs fans alike. After 108 years, they finally scaled the mountaintop! "Baseball been berry, berry good to me!" “What a Rush!” The Mad Professor’s Starting Pitcher Rankings, Continued.